The new building in Bucks County is everything it needs to be….bright, accessible, state-of-the-art and able to meet our current and future needs. Yet, there is something missing. For the children we serve, a playground is more than an opportunity for creativity, fresh air and learning. The playground is an extension of the beautiful building and the role it plays in helping the children we serve gain greater independence. 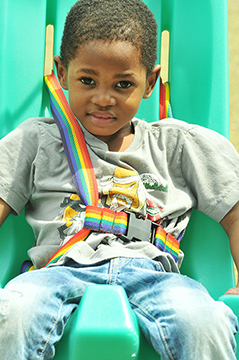 The playground helps meet the therapeutic needs of the children who benefit from our services. Through the support of KaBOOM! 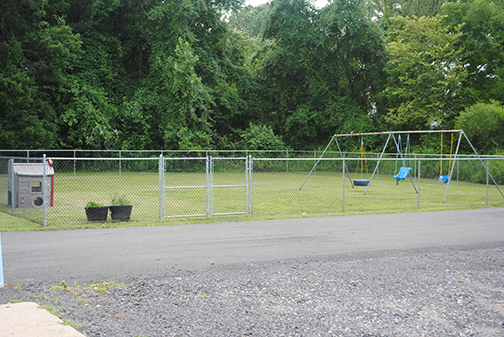 and CENTURY 21 Alliance, we are working to make the playground a reality. Parents, children and staff came together to design their dream playground and now we are turning to the community to help make that dream a reality. We have created a crowd funding campaign at IndieGoGO to support this dream. Please consider being a part of the campaign! Adaptable swings are a favorite! parents, children and staff worked together to design the perfect playground! This entry was posted in child stories, Tips from therapists and tagged #playinoneday, Century21 Alliance, crowd funding, Easter Seals, KaBOOM, motor skills, playground on July 22, 2014 by Easterseals.